Got strawberries? Surprising as it might seem, you can use strawberries as one cheap way to whiten your teeth naturally. 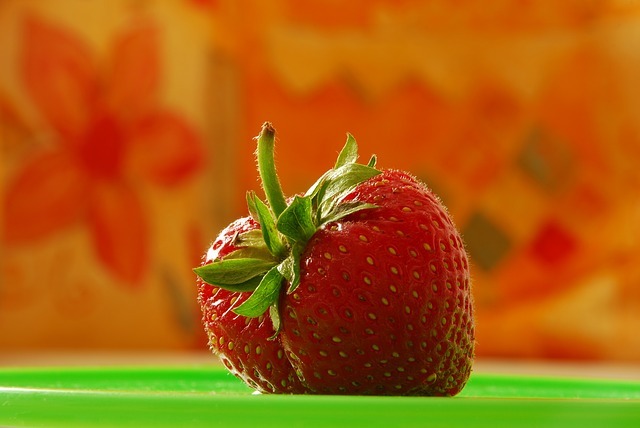 Strawberries contain Malic acid which helps whiten teeth. And when you add in a little baking soda, you get a gentle abrasive that helps brush away stains on teeth for an even brighter smile. All you need to do to naturally whiten your teeth is mix a mashed strawberry with about 1/4 tsp. baking soda. Brush your teeth using this paste (and rinse well) once a week to start seeing your teeth get whiter and brighter. Note: Brushing once a week with the strawberry-baking soda paste is enough. The acid in the strawberries would probably be harmful on your teeth's enamel if you did it more often. And while you are mashing strawberries, try making this homemade strawberry facial scrub too!